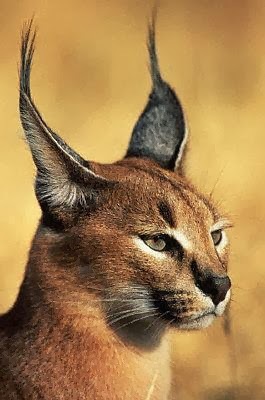 The caracal (Caracal caracal), also known as the desert lynx, is a wild cat that is widely distributed across Africa, central Asia and southwest Asia into India. 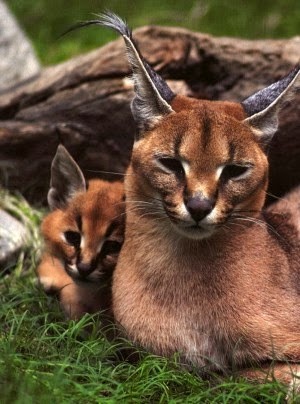 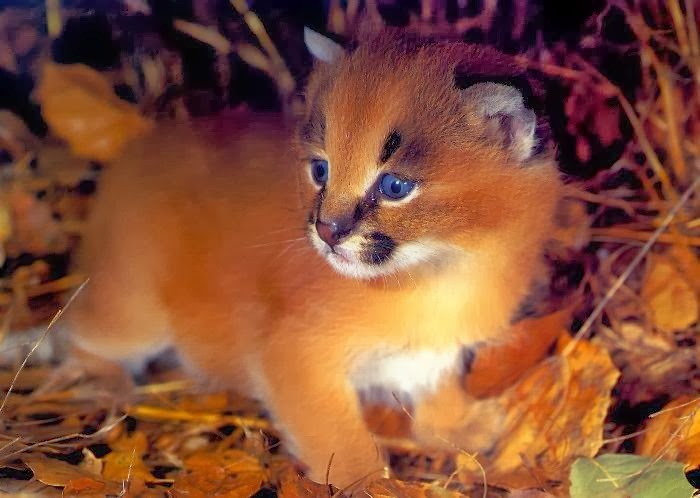 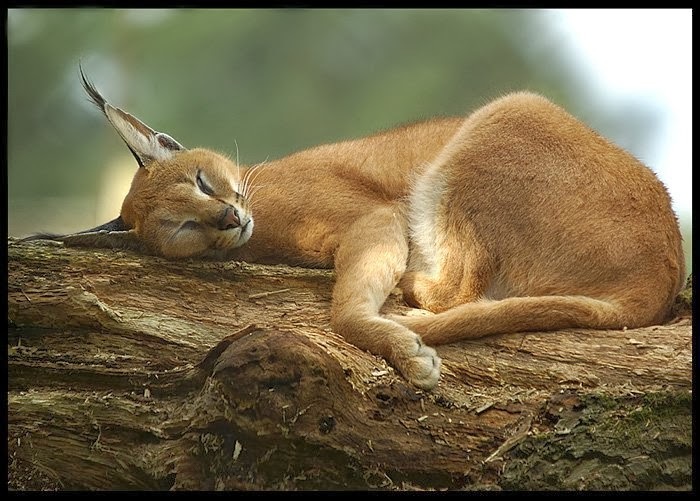 In 2002 the IUCN listed the caracal as Least Concern as it is widespread and relatively common. 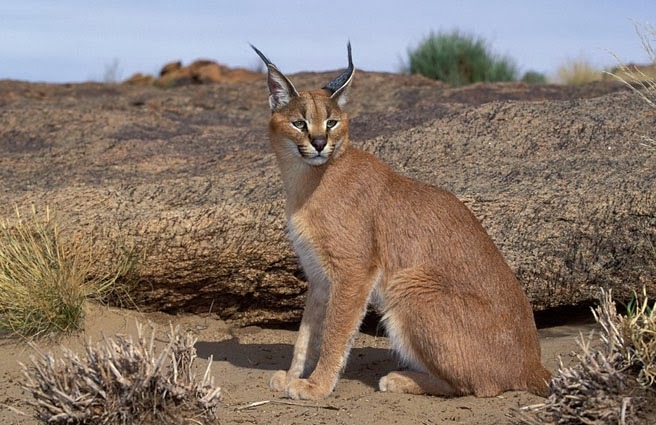 The felid is considered threatened in north Africa, and rare in the central Asian republics and India. 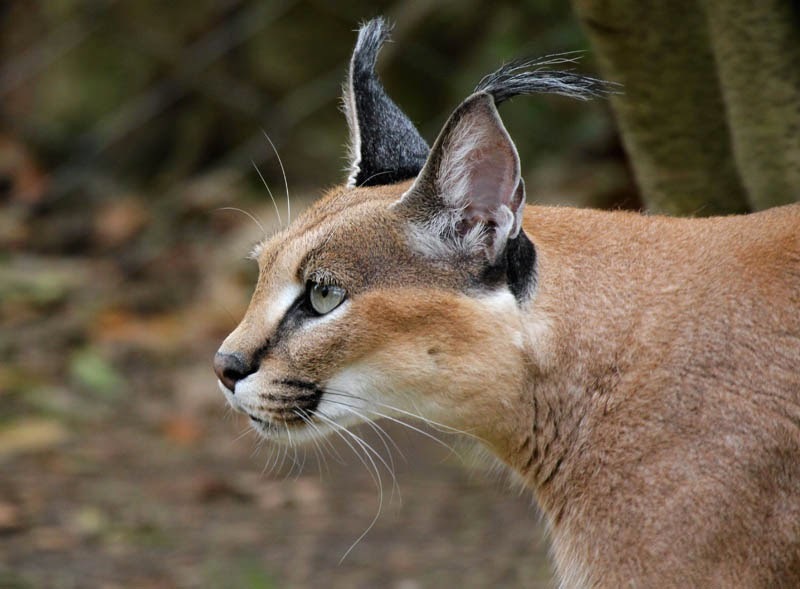 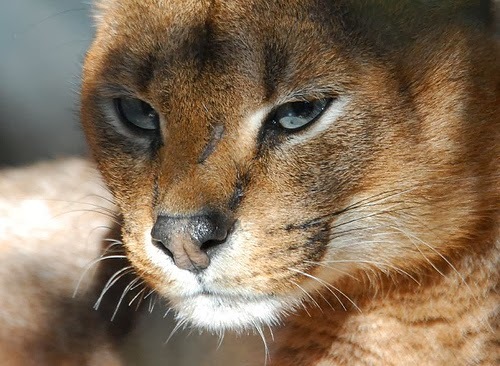 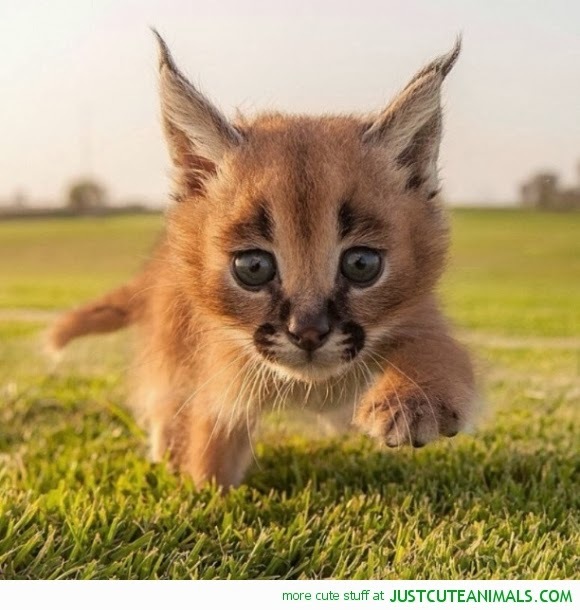 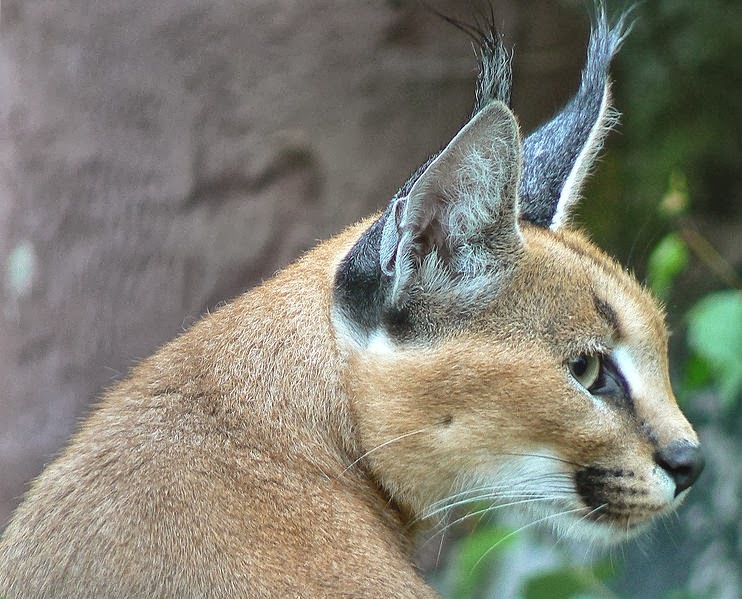 The caracal has been classified variously with Lynx and Felis in the past, but molecular evidence supports a monophyletic genus that is closely allied with the African golden cat and serval. 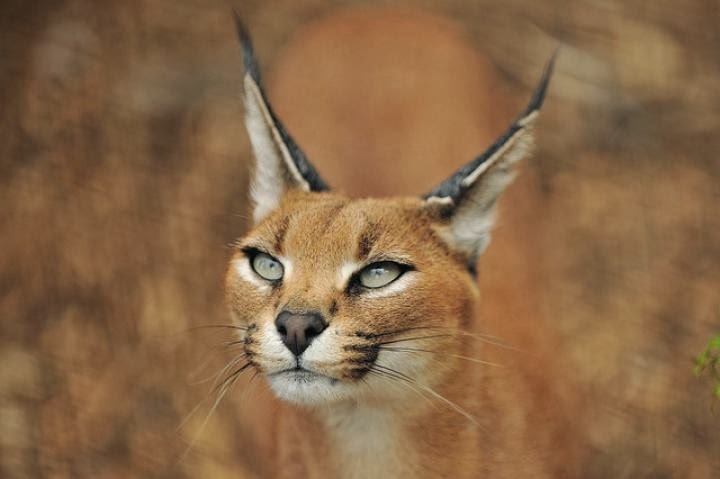 Caracals appear to have held some religious significance for the ancient Egyptians. 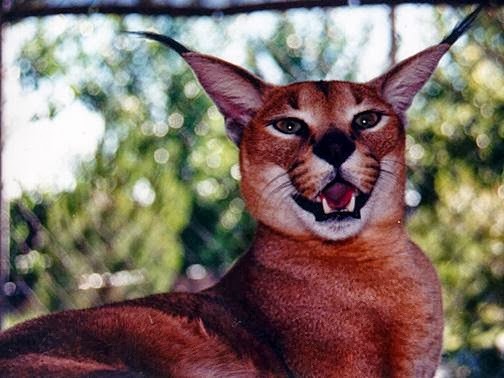 Caracals were found in wall paintings, their bodies embalmed, and sculptures of caracals and other cats guarded tombs. 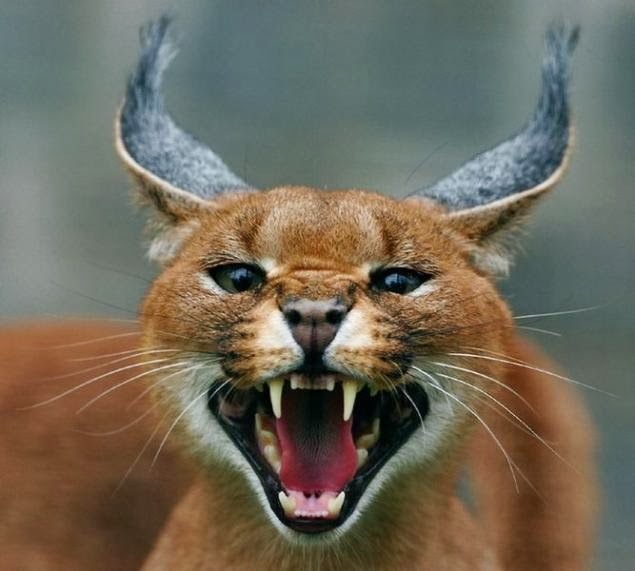 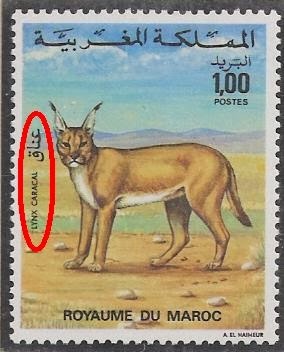 Historically, caracals have been used in India for the purpose of hunting and blood sports. 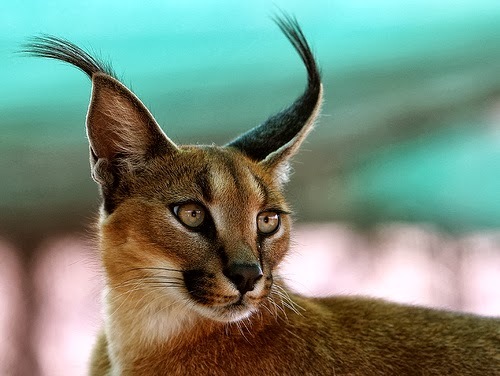 A popular sport in India was to have a captive caracal set upon a flock of pigeons, whereupon bets were made on how many birds could be taken down by the cat. 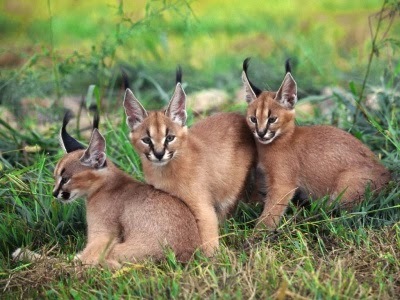 A practised caracal could ground as many as a dozen birds. 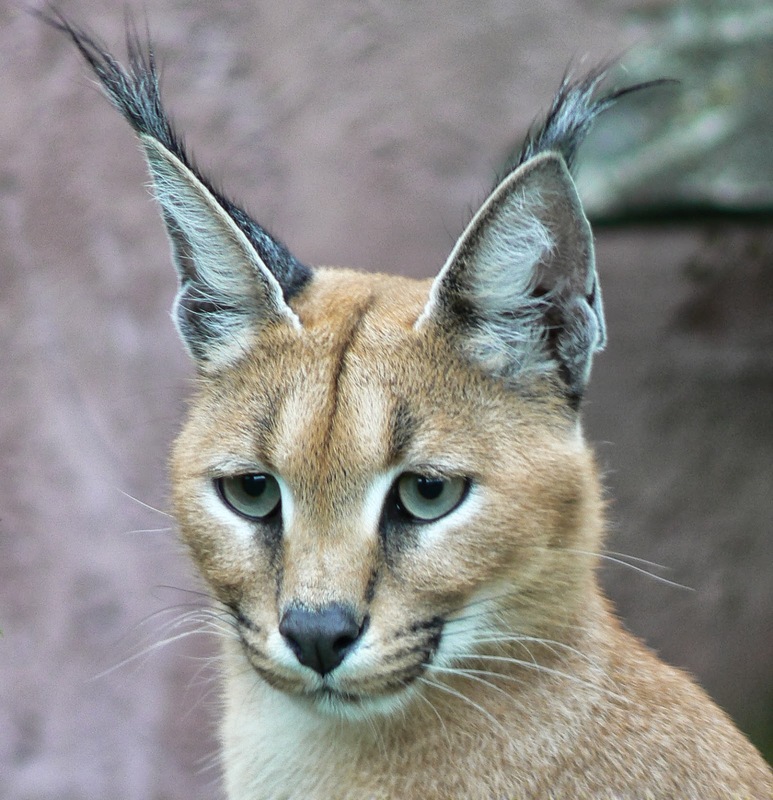 Today, as well as in the past, caracals have occasionally been kept as exotic pets in Africa, India, North America and elsewhere. 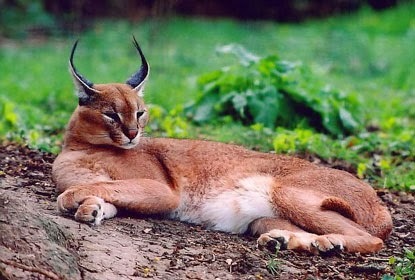 In 1998, the caracal was hybridised with a domestic cat at the Moscow Zoo.